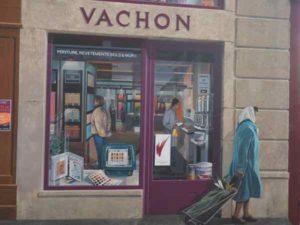 I recently made a big mistake during my recent trip to France: I missed seeing some of Lyon’s traboules and fresques. And there are many. 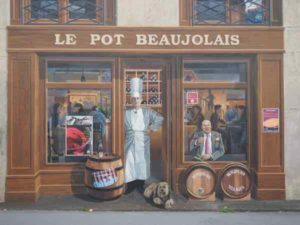 Lyon has so many hidden passageways (traboules) and wall murals (called fresques or frescoes) that I guess I’m going to have to return. I did, however, see many interesting things like the Lumière Museum, a museum dedicated to the Lumière brothers who brought us cinematography and the Resistance and Deportation Museum in honour of those who fought the resistance against the Nazis and the Jews who were deported to the death camps during WWII. 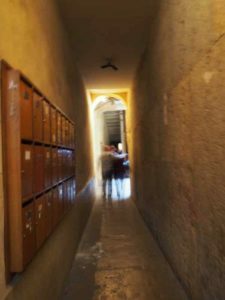 Traboules or passageways were used by silk manufacturers to transport their products and it is thought that this practice began in the 4th century. 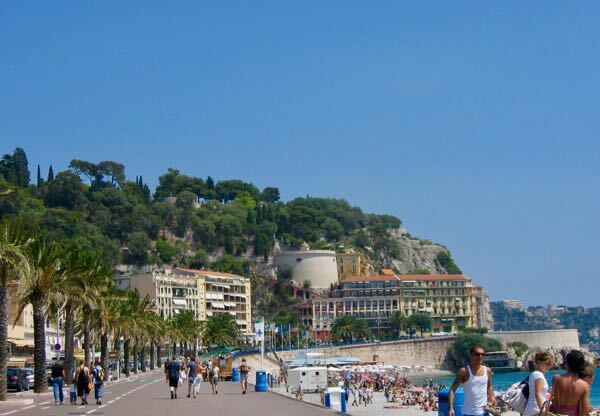 They were quick routes to get to the river and were primarily located in the old town (Vieux-Lyon) and Croix-Rousse districts of Lyon. At the time of the silk trade there weren’t many straight roads leading to the river or connecting streets and these traboules made the journey faster for craftsmen. 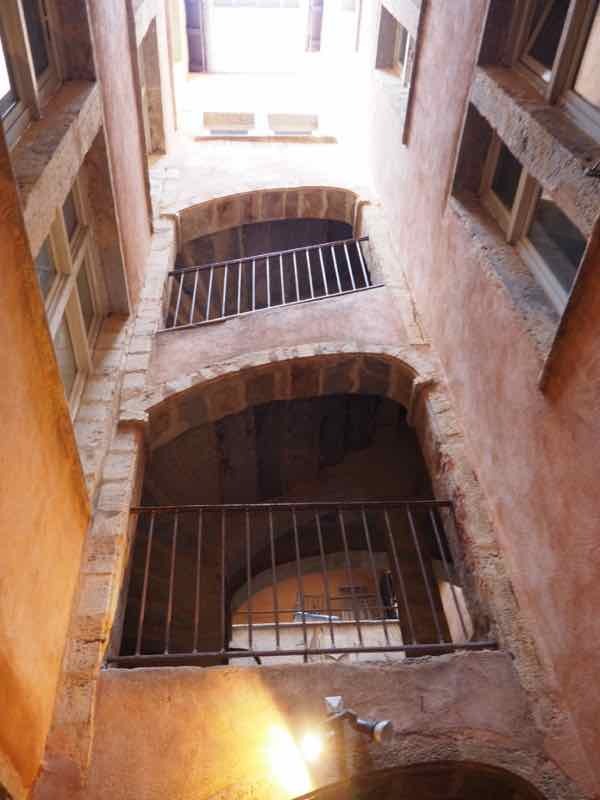 The passageways often open up into beautiful courtyards and in Lyon there are around 40 that are free to enter. Many are on private property and provide entrances to apartment buildings so one is cautioned to respect the privacy of the owners and to be quiet when walking through—whispers only. 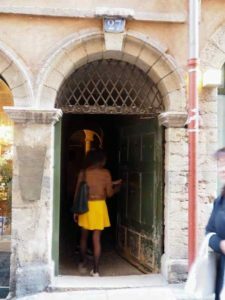 Location: I found the entrance to one of these passageways on rue du Boeuf as did a number of other tourists. We followed each other through the windy traboule eventually exiting at Rue St. Jean. Next time: I would a few spend days exploring the traboules (I had maps but these traboules are all over the city) or take a tour. 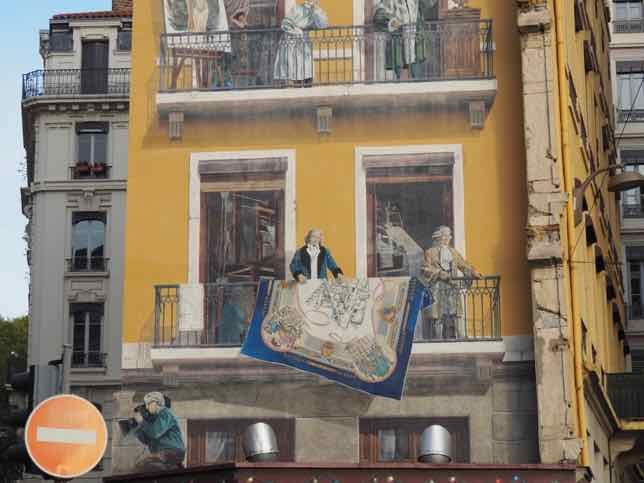 The fresques, or painted wall murals, in Lyon often tell stories about the city’s history. 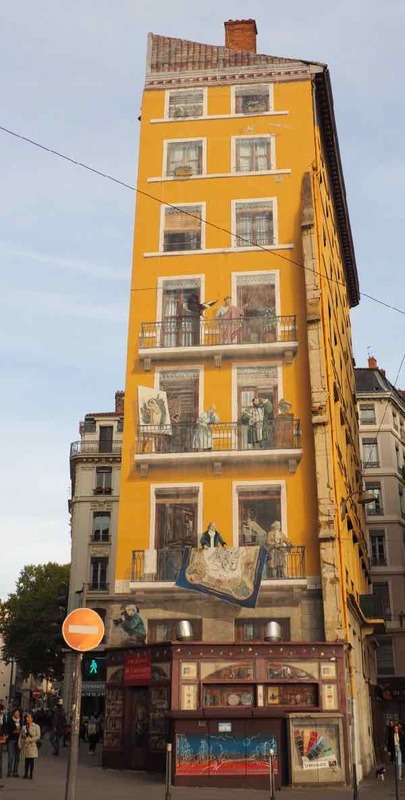 Lyon has a rich history and the Lyon-based company, CitéCréation (a cooperative of artists) has created painted walls in Lyon and all over the world and in Lyon there are over 60 of them. 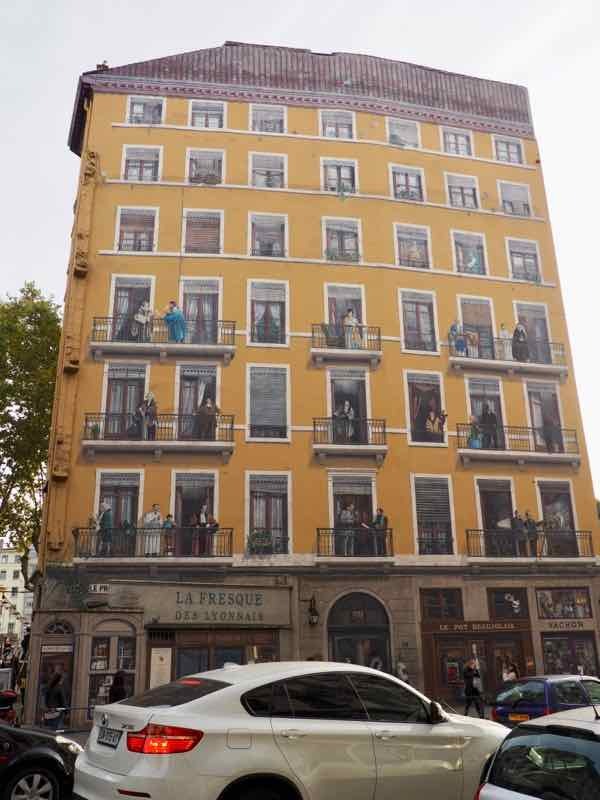 There are so many murals in Lyon but I was only able to see a two of them. (After all, there were other sites I wanted to see). So I thought I would point out two of them and when I return, I will update this post and add more. 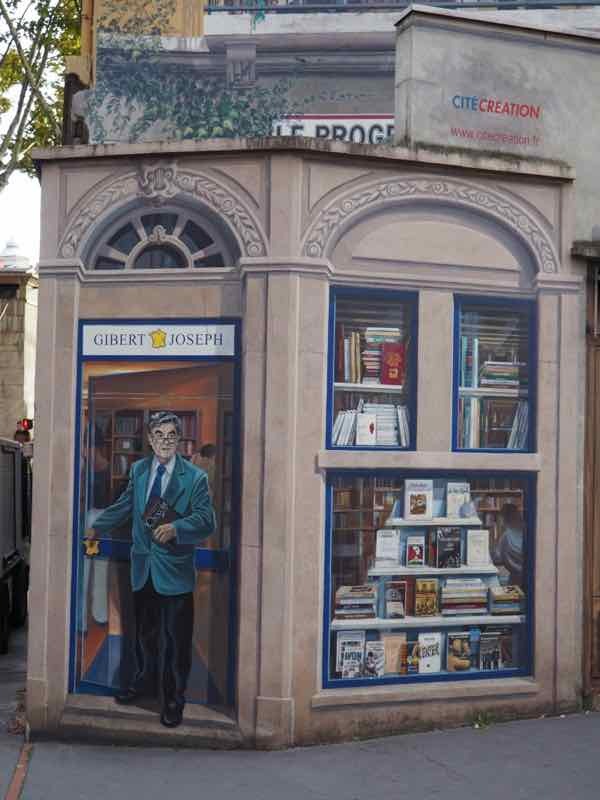 Next time: I would plot out my route and see many more of the murals including the La Fresque de la Bibliothèque de la Cité (Library of the city), Le Mur des Canuts and Musée Urbain de Tony Garnier (architech Tony Garnier’s work shown on 25 large murals at this housing project). 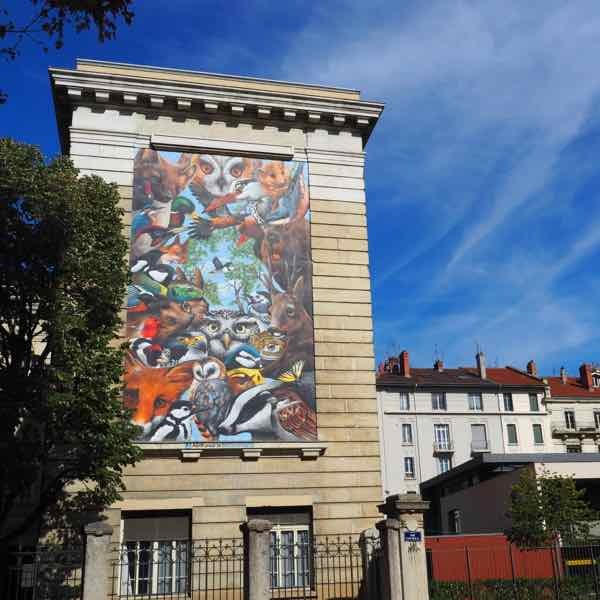 The Fresque des Lyonnais is located by the Saône River and it is one of the most famous wall murals in Lyon. 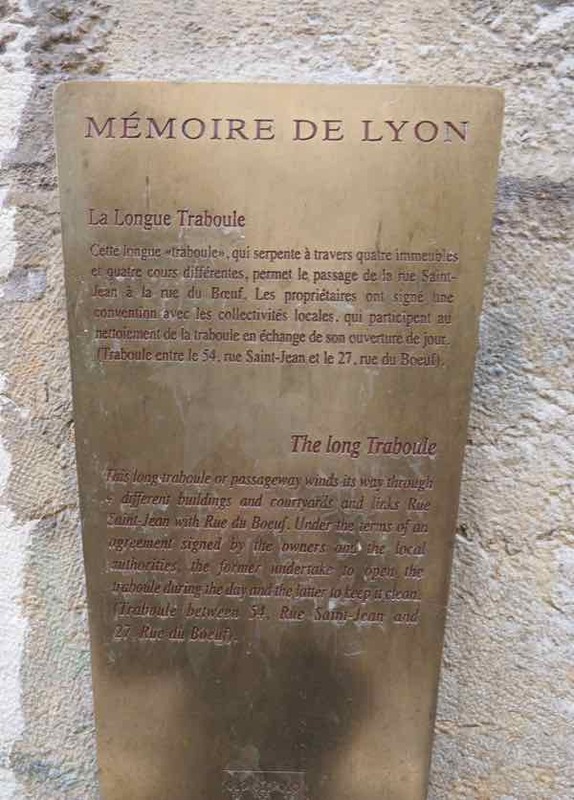 It measures 800 square meters and highlights not only the past 2000 years in Lyon but also over 35 famous people from Lyon including Guignol of puppetry fame, the Lumière brothers who are responsibly for bringing us cinema, aviator Le Pétit Prince and Antoine de St-Exupéry, and chef Paul Bocuse. Be sure to walk around the entire building as the mural covers all four sides. Location: this mural is at at the l’école élémentaire Jean-Macé, 74 rue Chevreul, Lyon. 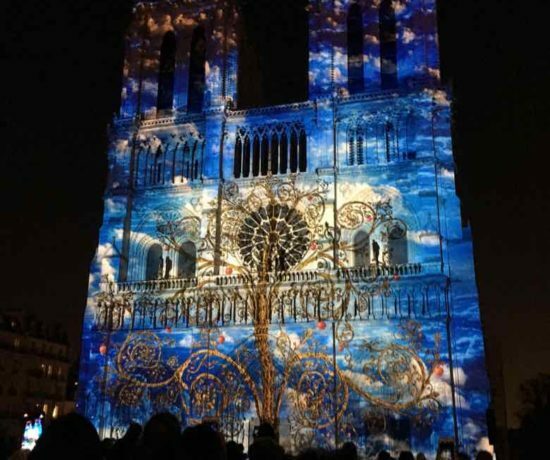 I’ve been to Lyon but somehow missed all this. 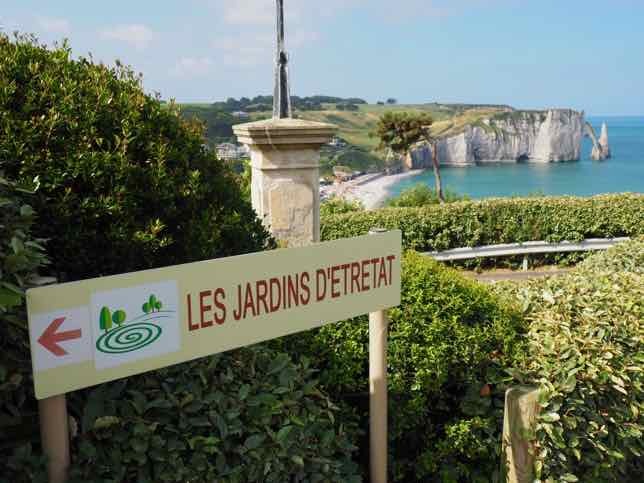 There are so many interesting things to see all over France! Your website is great at bringing them to light. 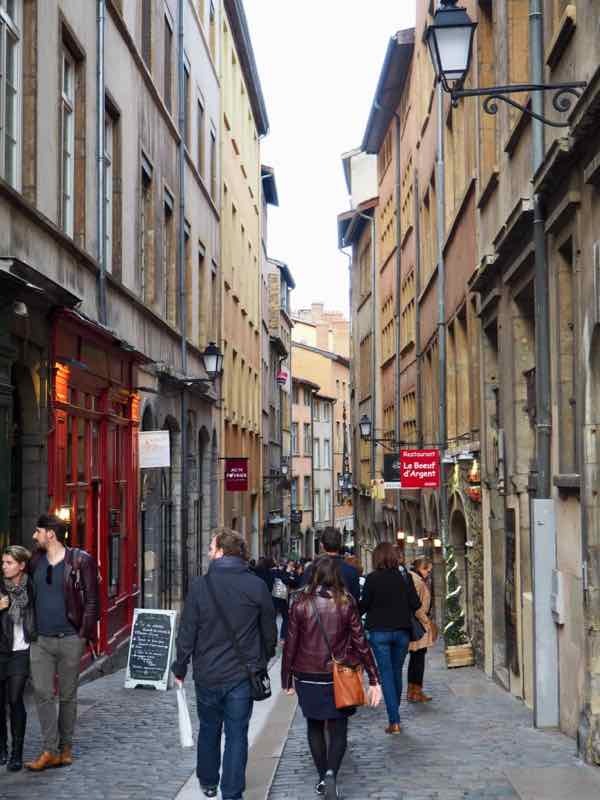 Lyon sounds like a city where you might want to spend at least a week or two wandering the streets to see both the traboules (fascinating when you think how old some of them must be) and the fresques. Your love and enthusiasm for all things France is rubbing off, Jan! It reminds me so much of Paris and yes, I could see myself staying there for a week for sure.